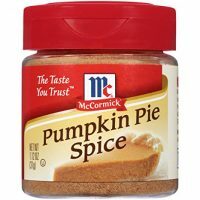 It is over the top good thanks to the addition of real pumpkin puree and plenty of pumpkin pie spices. 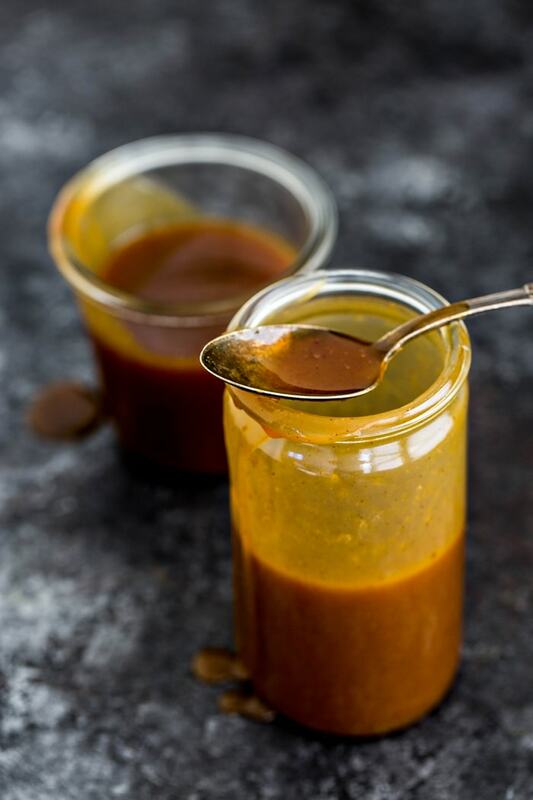 Save Pumpkin Spice Salted Caramel Sauce with Real Pumpkin to Pinterest! I was brainstorming some new recipe ideas the other day while I was waiting for another recipe to finish cooking. I had the idea to adapt my recipe for Caramel Sauce with Vanilla and Bourbon and make a new, fall inspired version. Originally I was just going to add some fall spices, like cinnamon, ginger, and nutmeg. Then, I thought – what if I actually added some real pumpkin puree, not just the spices, to this caramel sauce. And it turned out as amazing as I thought it would. See the huge list of ways to use caramel sauce below! 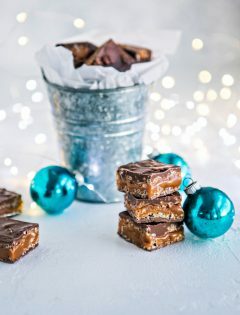 I’m super excited to have a new caramel recipe to obsess over and try with lots of different dessert and drink recipes (hot chocolate, anyone?). 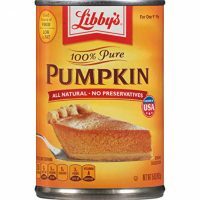 Seriously, if you like caramel and you like pumpkin spice, then you need to head the the grocery store ASAP and get the ingredients to make this recipe. 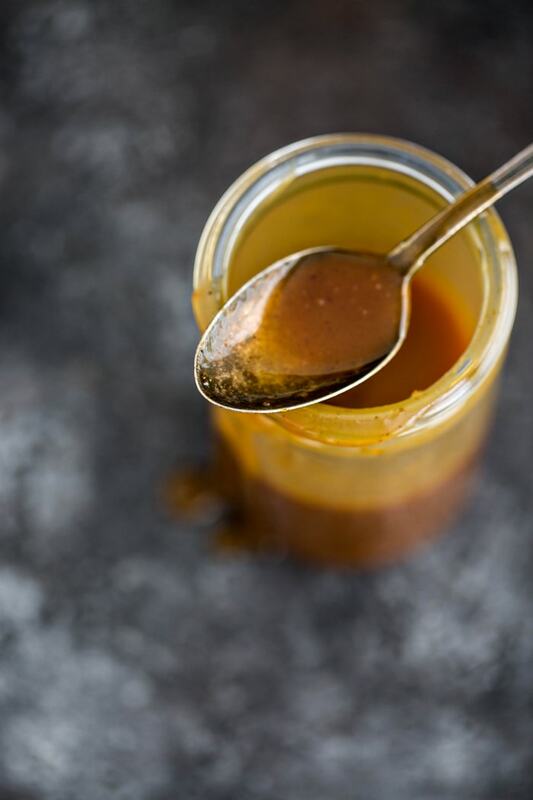 This Pumpkin Spice Salted Caramel Sauce with Real Pumpkin only lasted about a day in our house before it made it’s way into a new dessert recipe. You have to try this recipe for No Churn Pumpkin Spice Ice Cream with Pumpkin Caramel and Gingersnaps that I made using this Pumpkin Spice Salted Caramel Sauce with Real Pumpkin. The kids would probably tell you that their favorite way to eat this Pumpkin Spice Salted Caramel Sauce is to just lick it off a spoon. I definitely do this when their backs are turned! 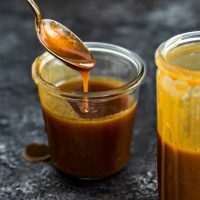 The uses are endless, but here are a few of our favorite ways to use this recipe for Caramel Sauce. 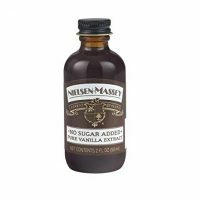 This has been our main go-to use of this amazing Caramel Sauce with Vanilla and Bourbon. Our current favorite ice cream obsession is one that is mocha flavored and has chunks of Oreo AND cookie dough in it. Topped with this caramel sauce…it is insanely good. Caramel and Apples flavor companions. There are so many apple desserts that you could add just a drizzle of caramel to upon serving. Try these: 100% Whole Grain Apple Crumble Pizza and Browned Butter Bourbon Apple Crisp. Or you could even just serve it in a little bowl with some apple slices for dipping. Add caramel as a layer in your next parfait. Layer chunks of Pumpkin Bread and whipped cream with this caramel sauce. Healthier Chocolate Parfaits and Chocolate Chip Cookie Pudding Parfaits are also both awesome candidates for the addition of caramel. The holiday gifting season is coming up! 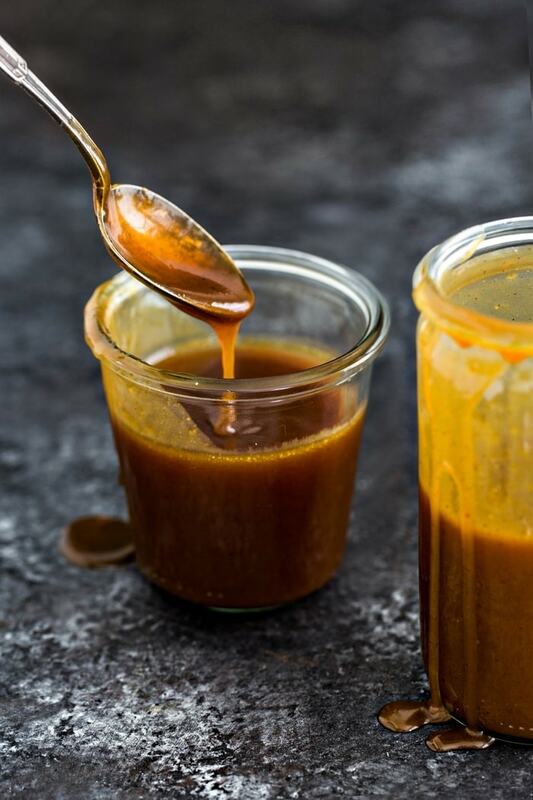 This Pumpkin Spice Salted Caramel Sauce with Real Pumpkin makes an excellent gift for teachers, friends, and neighbors. Check out these 35 Homemade Christmas Gift Ideas for a ton more inspiration! Swirl a bit of this Caramel Sauce into the top of the batter for my Simplest Homemade Fudgy Brownies. This is already the best ever homemade brownie recipe, but just think about it with caramel added to it! BONUS: serve the brownies in a bowl with ice cream and more caramel. This has been our main go-to use of this amazing Pumpkin Spice Salted Caramel Sauce with Real Pumpkin. Our current favorite ice cream obsession is pumpkin ice cream topped with this caramel sauce. It also tastes great with vanilla ice cream, caramel ice cream, and cinnamon ice cream. I love this recipe for Chocolate Pumpkin Cheesecake – it is a perfect fall themes cheesecake alternative and it would be amazing drizzled with this caramel sauce! Make these No Bake Pumpkin Pecan Cheesecake Pots and add a layer of caramel to them! Another no bake cheesecake idea is this Cheesecake Mousse recipe. Swap out the lemon curd and strawberries for caramel sauce! My friend Rachael has a great DIY Cold Brew Coffee tutorial. How good would some of this Pumpkin Spice Salted Caramel Sauce be if it was swirled into a cup? Plus, way cheaper than Starbucks! 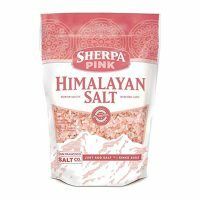 Try it with hot cocoa instead with a mug of Caramel Hot Chocolate, Chai Tea, or Pumpkin White Hot Chocolate as a treat this winter. 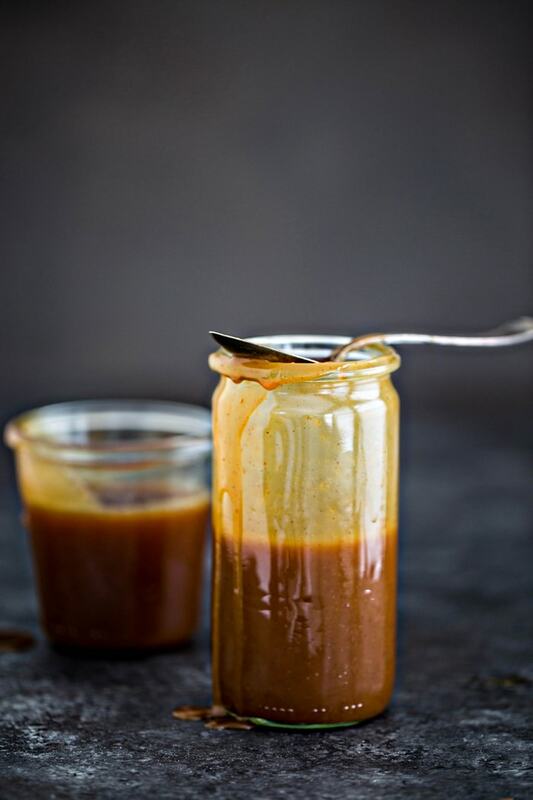 Love this recipe for Pumpkin Spice Salted Caramel Sauce with Real Pumpkin? What is your fall must have Pumpkin Spice recipe? Pumpkin Spice Salted Caramel Sauce with Real Pumpkin is so easy to make at home. It is over the top good thanks to the addition of real pumpkin puree and plenty of pumpkin pie spices. 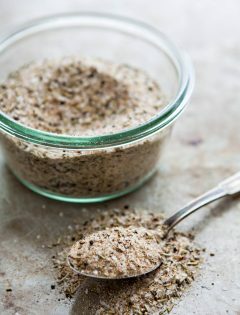 Add the granulated super to a medium sized saucepan (3 quart size works well). 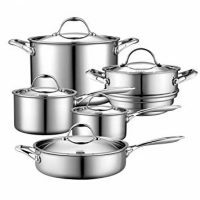 Place it over medium-high heat and cook, watching the entire time and stirring occasionally, until the sugar is golden brown and completely melted. Carefully add the butter. Whisk the ingredients vigourously until the butter is completely melted. The contents of the saucepan will bubble up, so caution should be used. Remove the pan from the heat and very carefully and slowly pour in the heavy cream while whisking. The caramel sauce will bubble, but keep whisking until the mixture is completely incorporated. Then, stir in the vanilla extract, pumpkin pie spice, pumpkin puree, and sea salt. Let cool. 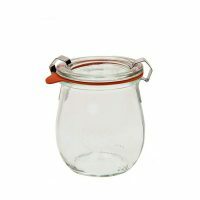 After it has cooled to room temperature, transfer to your prefered storage container and serve how you like! Caution! Do not attempt to lick the spoon or the whisk as the caramel will be incredibly hot! Did you try this recipe? Let me know what you thought by leaving me a comment below. I’d love to hear from you.